However, the continuity provided by what is now the European Union (Withdrawal) Bill, published last week, must be seen in the context of the reality that leaving the EU will also require major constitutional and policy changes in a relatively short, and currently uncertain, time frame (see here). After all, the Government’s aim is that, as a result of Brexit, the UK will be able to decide which parts of EU-derived law to keep, and which to amend or repeal. 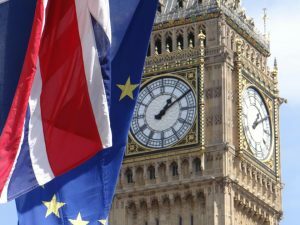 A number of Brexit Bills, which will change the law in relation to, among others, immigration, trade, customs, agriculture and fisheries, were promised in the Queen’s speech. The clarity and certainty promised in the White Paper, which at first glance appear to provide comfort to citizens and businesses concerned over the effects of Brexit, are more elusive than ever. The Bill provides key insights into the way in which what may be termed the ‘domestication’ of EU law is to occur. The Bill outlines how EU law will be converted, and how ‘retained EU law’ is to be interpreted and applied, including in relation to the vexed question of the role of the Court of Justice and its case law. It acknowledges more clearly than hitherto that much will depend on the outcome of the Article 50 negotiations. As a result, the Bill does not even purport to identify the extent of the coming legal change. But, it provides some detail in relation to the process of domestication; and the detail is where the devil tends to lurk. Clause 1 states the European Communities Act 1972 is to be repealed on exit day. The Explanatory Notes state that ‘the main effects of repealing the Act are to reflect the end of the supremacy of EU law in domestic law and to remove the mechanism which enabled the flow of new EU law into UK law’. But, by virtue of Clauses 2 to 4, EU rights and obligations, defined broadly, ‘continue to be recognised and available in domestic law after exit’. The implications of the words ‘in domestic law’ will be spelled out later. First though, it is important to identify the range of situations in which, notwithstanding Clauses 2 to 4, it is envisaged that EU law rights may not be available in UK law. The Bill affords sweeping powers to Ministers to make such provision as they consider ‘appropriate’, to ‘prevent, remedy or mitigate’ ‘deficiencies’ in retained EU law (Clause 7), to prevent or remedy any breach of the international obligations of the UK (Clause 8), and to implement the withdrawal agreement with the EU-27 (Clause 9). This power of Ministers is, it should be added, time limited: it is set to begin once the Bill is passed (Clause 19), and to lapse on exit day in relation to Clause 9 (implementing the withdrawal agreement), and two years after exit day in relation to Clauses 7 and 8 (dealing with deficiencies, and international obligations). Concerns surrounding the level of Parliamentary oversight over the decisions of Ministers, which are laid out in detail in Schedule 7, have been amply raised elsewhere. The concerns relating to devolution are beyond the scope of this note. There is of course a trade-off to be struck between the need to enable Ministers to act quickly, given the time limit in Article 50, and the need to ensure adequate Parliamentary scrutiny; but the Bill, quite understandably, fills many with unease. It seems that the, at least arguably principled, desire to ‘take back control’ from the EU, has morphed into an altogether more sinister desire on the part of the Government to minimize scrutiny of its policy choices (by virtue of clause 9, for example, the powers of Ministers extend to ‘modifying this Act’). Clause 7(2) provides a non-inclusive list of ‘deficiencies’. The list (see Clause 7(2)(a)-(g)) is, in any event, very wide. It refers, for example, to situations in which EU law will no longer have ‘practical application to the UK’; where it is ‘redundant or substantially redundant’; where it confers functions on, or in relation to, EU entities which will no longer have functions in relation to the UK; to ‘reciprocal or other arrangements’ which no longer exist, or are no longer appropriate, as a result of the UK ceasing to be a party to the EU Treaties; and, most broadly of all, to ‘EU references which are no longer appropriate’. There are some specific limits on what regulations under this section may accomplish (see clause 7(6)), but in general the regulations may make ‘any provision that could be made by an Act of Parliament’. But, it is important to appreciate that EU law rights may be affected not only as a result of Ministerial powers to ‘deal with deficiencies’, broad as they no doubt are, but also as a result of the implementation of the withdrawal agreement, and the relationship between this Bill and the Brexit Bills we are yet to see, including those on immigration and trade. As the Department for Exiting the EU acknowledges, much ‘will depend on the contents of the withdrawal agreement’. The aim is to ‘ensure that a range of negotiated outcomes can be catered for’. Let us fast forward to March 2019, and imagine that this Bill has become law, that a withdrawal agreement has been agreed, and that various other Brexit Bills have made their way through Parliament. The European Communities Act has been repealed. Some parts of EU law will have been incorporated, but much will have changed. The extent of the change will depend on the nature of the negotiated outcome reached with the EU. It is only on the basis of the Article 50 withdrawal agreement that it will be possible to determine how UK immigration and trade law will function. Crudely, to the extent that Brexit is ‘soft’, EU rights are likely to be maintained; to the extent that it is ‘hard’, they are likely to disappear. The Bill is intended to cater for the whole spectrum of outcomes. Rights may disappear in one of three ways. First, though the relationship between future Brexit Bills and this Bill has not yet been clearly spelled out, future UK immigration and trade law, likely to come into force on Brexit day, will not be bound by existing EU law rules. A whole host of fundamental EU law freedoms, based on the citizenship and free movement provisions of the Treaties, are vulnerable, and will be subject to an entirely new, as yet undetermined, legal regime. Second, Clause 9 of the Bill provides that the Minister may make such provision as the Minister considers appropriate for the purposes of implementing the withdrawal agreement. And third, under Clause 7, the deficiencies in retained EU law may also be dealt with by Ministers. There will, of course, be full Parliamentary oversight of the future Brexit Bills, and a vote by both Houses of Parliament on the final withdrawal agreement. But it is clear that there is substantial scope for EU law rights to be eroded, both by legislation and Ministerial action (though the courts may yet become involved in policing the outer limits of Ministerial powers). If there are any transitional arrangements provided for in the withdrawal agreement, they will of course further complicate an already murky legal picture. A final question, of particular interest to lawyers, concerns the way in which retained EU law, of whatever scope it turns out to be, falls to be interpreted and enforced. Clause 5 of the Bill, as expected, provides that the principle of the supremacy of EU law continues to apply to enactments or rules of law passed in the UK before exit day. This however does not include the Charter of Fundamental Rights. Moreover, Schedule 1 adds that there is no right of action in domestic law on or after exit day based on a failure to comply with any of the general principles of EU law, and no right to damages in accordance with the rule in Francovich. These provisions, hidden away in Schedule 1, are likely to prove more significant than the exclusion of the Charter, given that the Charter tends only to be used by courts to reinforce rights which it is also able to locate in other international human rights instruments, and in the general principles of EU law (though UK courts have often relied on the Charter rather than those general principles, as, for example, here). Clause 6 provides that the principle of supremacy does not apply to enactments made on or after exit day (thus, it will not apply to the promised Brexit Bills), and applies to modified EU retained law only ‘if the application of the principle is consistent with the intention of the modification’. The Supreme Court is, moreover, free to depart from retained EU case law, and in deciding whether or not to do so, is to ‘apply the same test as it would apply in deciding whether to depart from its own case law’. UK courts are not bound by European Court decisions made on or after exit day, and that they will no longer have the power to refer questions to the Court. We are told that ‘a court or tribunal need not have regard to anything done on or after exit day by the European Court, another EU entity or the EU but may do so if it considers it appropriate’. There are a whole host of legal uncertainties which result from the language used; the detailed analysis of which will be the subject of further comment. 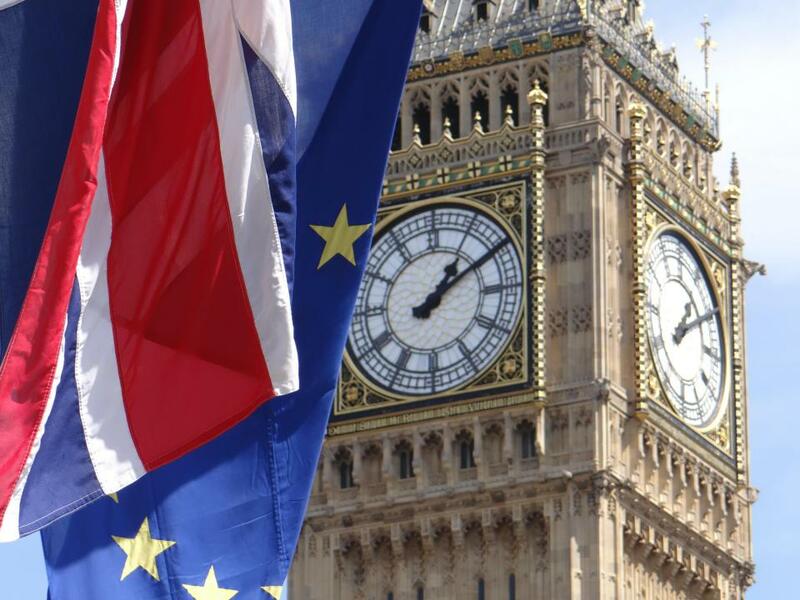 The relationship between the evolving case law of the European courts and courts in the UK will occupy lawyers, and invite litigation, for years to come. But the key point is that the enforcement of UK law, including EU retained law, on and after Brexit day will be a matter of domestic law (see also here); it will be in the hands of the UK courts, which ultimately have the freedom to ignore not only the future, but also in many instances, the existing, case law of the European Court. Arguments based on possible infringements of general principles of EU law (such as those which led to the annulment of the Data Retention Directive by the European Court in 2014) will not be permissible, and remedies based on Francovich will also be ruled out. This legal structure for the enforcement of EU retained law, including what were the citizenship rights of EU nationals in the UK, is likely to cause anxiety among the EU-27, and may even lead to an impasse in the Article 50 negotiations. This Bill thus falls far short of providing citizens and businesses with clarity and certainty. It enables existing EU law rights to be modified and removed, not only by primary legislation and a result of the content of the withdrawal agreement, but also by Ministerial regulations to deal with ‘deficiencies’. It also changes the ways in which EU law rights are to be enforced, rendering them both weaker and more precarious. In many respects, this should not surprise. Brexit will herald significant legal change. But the Government’s pretence that the same rules and laws will apply after we leave the EU as they did before, must be dropped.